Indian women have gorgeous skin and tend to look younger than they really are. Indian women have many skin secrets and alot of them have to do with using natural ingredients on the skin and avoiding harmful chemicals that are found in a lot of products. I received Herbal Ubtan Powder and Rose Water from India and was super excited to try them out together as a facemask! Ubtan powder is a mixture of powders that act as a natural skin cleansing agent which leaves your skin feeling smooth and glowing. As an added bonus, ubtan powder also helps to prevent acne and pimples. Lastly, an interesting fact, is that this powder is usually used by brides and grooms to make their skin look amazing for the big day. To use this powder as a facemask here's what you need to do. Mix the powder and rose water together into a bowl. Basically you want to form the two ingrediants until it turns into a paste. The paste should be dark green/brown in color. Then spread the mixture onto your face and let it dry for about 20 minutes or until the paste hardens and turns light green in color. Lastly, rinse off with warm water and pat dry your face. After using the paste my skin felt sooo smooth an my acne started clearing up. I will definetly being using this facemask again and again! We all know that facemasks you buy from the store contain chemicals and preservatives. Which is why I prefer to make my facemasks at home with all natural ingredients. 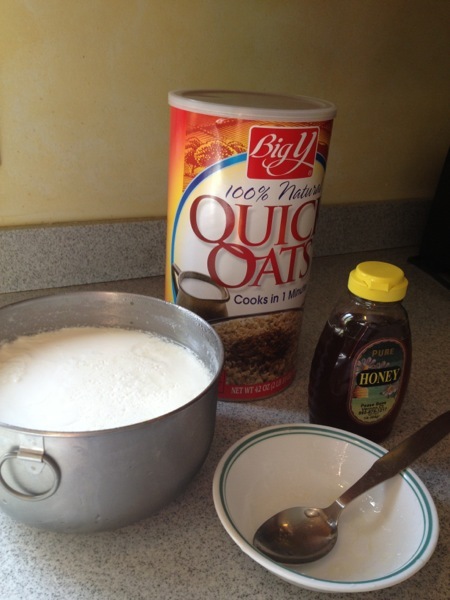 This oatmeal-yogurt-honey mask will leave your skin feeling soft and smooth and will also brighten your complexion. Plus (as an added bonus) the ingredients can be found in your fridge and pantry. Here's what you do. Mix all three ingredients together then apply a layer to your face and relax for 15 minutes. And by relax I mean lay down as you don't want the mask dripping off your face. Rinse the mask off using warm water and a wash cloth by gently rubbing the mask off your face to let the oatmeal act as an exfoliant. Oatmeal not only acts as a gentle exfoliant, it also soothes out itchy skin conditions and dryness. Yogurt contains enzymes and lactic acid to hydrate and soothe your skin. And lastly, honey contains antioxidants and heels infections.